Want to be notified of new releases in harshjv/github-repo-size? 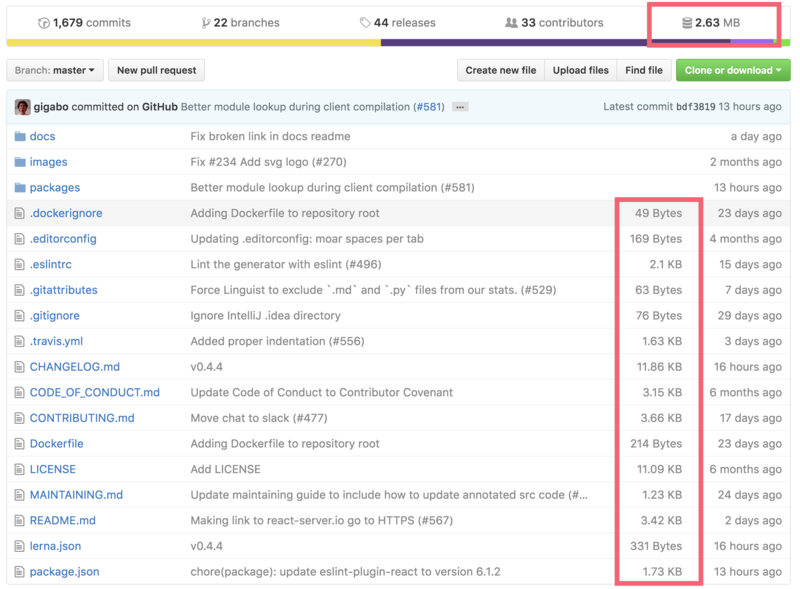 Automatically adds repository size to GitHub's repository summary. Install extension from chrome webstore, if you haven't. Go to https://github.com/settings/tokens to generate your personal access token. Check repo scope to enable this extension on private repo. Click on the Github Repo Size extension (this extension)'s icon aside the address bar. Paste your access token there in the prompt box. You can set x-github-token in localStorage to your access token, and the extension will use this value even if you've previously set token.